Iconoclastic hot dog stand known as “The Wiener’s Circle” went all out for Halloween, embracing the 1988 cult film “Coming to America” as its muse. The restaurant temporarily changed its name to McDowell’s, just like the fictional eatery in the film and the employees dressed in the costumes of the fast-food workers who were portrayed in the movie. Some patrons who came in on Halloween were confused, thinking the old restaurant had been replaced by McDowell’s, but were relieved to see that the old familiar hot dog was still on the menu. 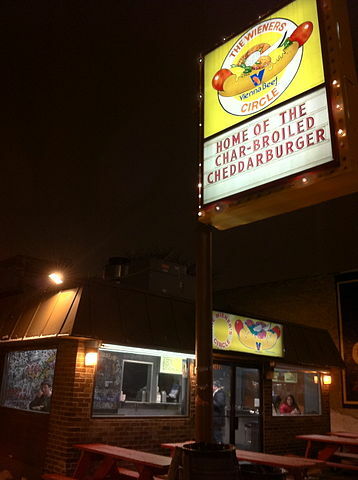 The Wiener’s Circle will maintain is new identity as McDowell’s until weekend’s end.